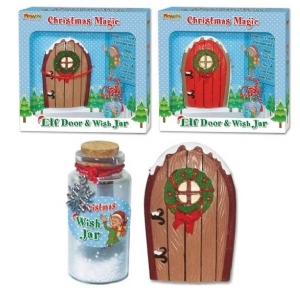 Colourful gift set containing a 11cm Magic Elf Door and a Christmas Magic Wish Jar. Everything you need to make your Christmas wish come true. 2 assorted designs. Box size 18 x 17.5 x 5.5cm.